European Parliament elections, to be held between 23 and 26 of May, will be a key political event in Europe. However, we expect limited short-term impact, given the European Parliament’s limited ability to set Brussels’ agenda.European Parliament (EP) elections will be a key political event in Europe, a form of ‘midterm election’ in which the electorates can state their approval or disapproval of their respective national governments. New US auto tariffs may impact the economy significantly more than the previous tariffs on steel and aluminium.Among the key risks for our euro area outlook, the threat of US auto tariffs is of major importance.The US Commerce Department’s investigation on national security threats posed by auto imports is due to be concluded on 17 February. Prospects for French economic growth are looking up, but disruptions to consumption are possible.French GDP rose by 0.3% quarter-on-quarter (q-o-q) in Q4, the same pace as in Q3. The details reveal that Q4 exports surged significantly, while household consumption and investment slowed. This left growth for the year at +1.5%, following +2.3% in 2017. The balance of risks to growth in the region is still tilted to the downside.The big question about the euro area economy is when the bottom of the slowdown will be reached. A rebound was already expected in Q4 2018, but at the start of this year there are still few signs of recovery. Flash composite PMI numbers for the region declined by 0.4 points to 50.7 in January, the weakest level since July 2013. The ECB is comfortable with current market expectations for rate hikes.At its latest meeting in December, the ECB turned more cautious, lowering its growth forecasts but showing no sign of panic regarding the loss in euro area economic momentum. 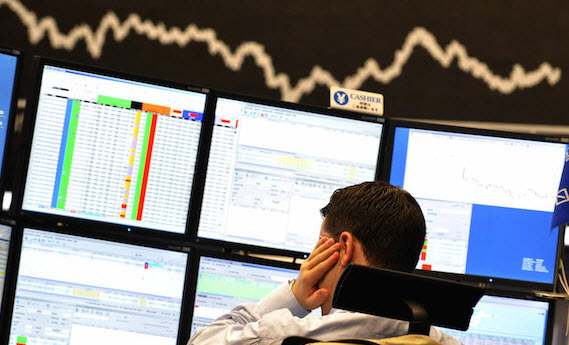 Risks were considered as “broadly balanced”, but moving to the downside. Rome and Brussels reached a compromise on the Italian government’s budget plans last month. But there are plenty of reasons for thinking this will be a challenging year for Italy.After battling for more than two months over a 2019 budget plan defiantly non-compliant with the EU fiscal rules, Rome and Brussels struck a last-minute agreement in December that avoided opening an Excessive Deficit Procedure (EDP). Sagging industrial production and confidence figures point to weak Q4 GDP. German industrial production (including construction) fell by 1.9% month-on-month in November, extending the sector’s decline to five out the six last prints. Year on year, industrial production was down by 4.6%, the worst performance since November 2009. 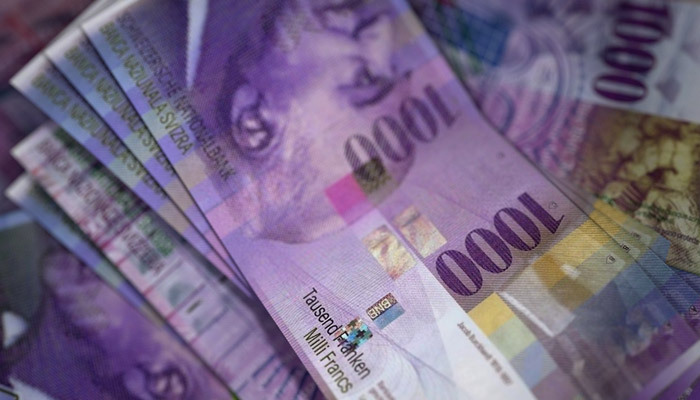 Fresh inflation projections likely to keep the central bank on the path of prudence.The Swiss National Bank (SNB) left its monetary policy unchanged at its quarterly meeting today.The main policy rate was left at a record low (-0.75%) and the central bank reiterated its currency intervention pledge. With the ECB’s asset purchases due to end this month and forward guidance set to remain unchanged, a focus at next week’s policy meeting will be staff forecasts for growth and inflation. At its Governing Council meeting next week, we expect the European Central Bank (ECB) to confirm that its asset purchases will cease at year’s end. Recent protests could have a negative impact on French growth, tax revenue and president Macron’s reform plans for his country and for Europe. French protests began on November 17 over hikes in fuel taxes, but have progressively broadened out into an expression of general anger with the French government about the cost of living and high taxes. The downward revision to 3Q GDP will make the Italian government’s targets more difficult to achieve and complicate the budget debate with Europe. The Italian statistical office’s (ISTAT) final reading showed that the economy shrank 0.1% q-o-q (-0.5% q-o-q annualised) in Q3, whereas a preliminary reading on October 30 showed that growth was flat. Switzerland’s growth unexpectedly contracted in the third quarter, pushing down our GDP growth forecast for 2018. Recent softening in the euro area also casts doubts about the pace of monetary tightening by the SNB.The strong growth enjoyed by the Swiss economy since Q1 2017 came suddenly to an end in Q3 18, when real GDP shrank unexpectedly by 0.2% q-o-q (-0.9% q-o-q annualised). European Commission deems Italy’s budget noncompliant with EU rules.This week, the European Commission issued its opinion on Italy’s budget plans. Deeming them noncompliant with the EU’s budgetary rules, it recommended that an Excessive Deficit Procedure (EDP) be opened.Of the options available to the EU, a debt-based EDP would be the most difficult for Italy to deal with, as it would last longer and require Italy to ensure its debt stock diminishes at “a satisfactory pace”. The minor concessions continued in the revised plan presented to the European Commission are unlikely to dissuade Brussels from launching sanctions.In a letter to the European Commission on 13 November, the Italian government confirmed that it would aim for a budget deficit at 2.4% of GDP in 2019 and reasserted its real growth forecast of 1.5% for next year. Modest fiscal easing could help counter mounting external risks and slowing growth indicators.Euro area member states have all submitted their 2019 Draft Budgetary Plans (DBP) to the European Commission (EC) by now. These show that, collectively and based on EU Commission’s autumn forecasts, the euro area’s fiscal stance1 will turn supportive in 2019, although it varies significantly from one country to the next. Euro area flash HICP rose from 2.1% year on year (y-o-y) in September to 2.2% in October, in line with expectations and the highest level since December 2012. Crucially, core inflation (HICP excluding energy, food, alcohol and tobacco) rebounded from 0.9% to 1.1% in October. While growth in France rebounded, Italy stalled in Q3. Our full-year forecast for the euro area remains unchanged but is clearly at risk.According to initial estimates, growth in the euro area slowed in Q3 to 0.2% q-o-q (quarter on quarter) from 0.4% in Q2. These latest GDP results were below consensus expectations and our own forecast. Investment is an important driver of the business cycle and a key determinant of potential growth. In the euro area, total investment makes up about 20% of GDP. Construction, machinery and equipment (including weapons systems), intellectual property rights and agricultural products account, respectively, for 48%, 32%, 18% and 2% of total investment. The euro area economy started the fourth quarter on a weak note; the flash composite PMI dipped to 52.7 in October from 54.1 in September. Both manufacturing and services showed a notable loss of momentum. A common feature in France and Germany was the weakness in manufacturing, where both countries posted similar declines. Rome’s budget plans put it on a collision course with the European Commission. The Italian government has submitted its 2019 draft budget plan (DBP) to the European Commission. The proposed DBP is not in line with European Union rules and sets the government on a collision course with the European authorities. Italy’s structural weakness explain higher level of concern around its deficit target.Each EU member state is currently preparing 2019 budget plans for formal submission to the European Commission (EC) before mid- October. Among them, France and Italy’s budget plans have been raising eyebrows. Why is the EC concerned about Italy’s proposed 2.4% GDP deficit target for 2019 and not France’s target of 2.8%? The Italian government’s budget plans set it on a collision course with the European Commission. 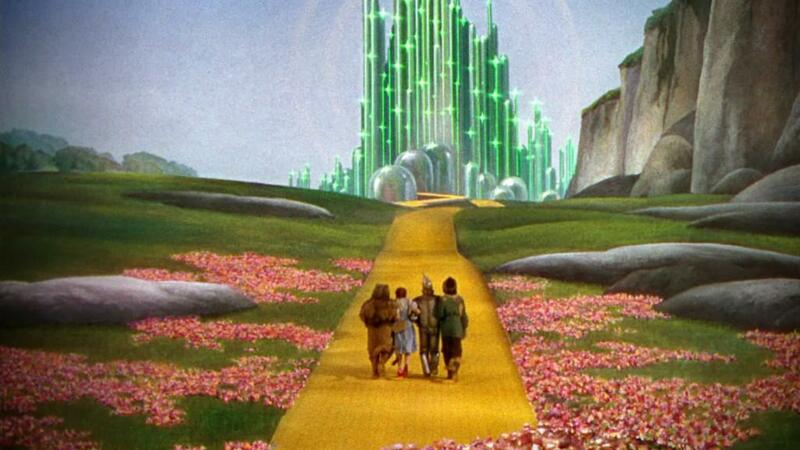 The road to some kind of agreement is likely to be long and bumpy. The Italian government has confirmed its deficit target at 2.4% of GDP for 2019. This represents significant slippage from a previous budget deficit target of 0.8% in 2019. Recent German soft and hard data in the manufacturing sector has been surprisingly weak. Data released today showed that the final manufacturing PMI fell to 53.7 in September, from 55.9 in August. Factory orders rose by 2.0% month-on-month (m-o-m) in August, having contracted for six out of the seven previous months. The populist government’s plans to increase the deficit could set it on a collision course with Brussels. We remain bearish Italian bonds and euro peripheral bonds in general.Leaders of Italy’s coalition government and the finance minister yesterday agreed on a 2.4% GDP deficit target. The new target is higher than our expectation of a deficit “above but close to 2.0%” in 2019. Despite the recent fall in French consumer confidence, spending should pick up in the second half of the year. The French economy disappointed in the first half of this year. While there was a widespread ‘soft patch’ in the euro area, the source and size of the slowdown in France stands out. The real GDP growth rate fell by 0.5 points, much more than the rest of the euro area. Moreover, while the slowdown in the other countries was mainly due to net trade, in France weakening in household’s expenditure also contributed. Financial conditions remain supportive and are not expected to tighten much in the coming months. Lending to non-financial corporations in the euro grew by an annual 4.2% in August, its fastest rate since April 2009. Forward-looking indicators suggest that euro area credit growth should remain strong over the coming months. Euro area flash composite PMI dipped slightly to in September and came in slightly below consensus expectations. Activity in services picked up and weakened further in manufacturing, which continued its decline since the start of the year, falling to 53.3 in September from 54.6 in August. New export orders failed to grow for the first time since June 2013. The Swiss National Bank has revised down its medium-term forecast for consumer inflation. We still expect a first SNB rate hike in September 2019. At the end of its quarterly monetary assessment meeting, the Swiss National Bank (SNB) left its main policy rates unchanged. But there is room for further improvement.This week euro area employment data confirmed that labour market recovery remains on track. Employment grew at 0.4% q-o-q in Q2 2018, marking the 20th consecutive quarter of expansion. Employment is now 2.4% above its pre-crisis (2008) level. Since Q2 2013, 9.2 million jobs have been created in the euro area. Manufacturing and sports events served as boosts to growth, while domestic consumption was a letdown.The latest Swiss GDP figures were impressive. According to the State Secretariat for Economic Affairs’ quarterly estimates, Swiss real GDP grew by 0.7% q-o-q in Q2, slightly above our 0.6% projection and consensus. Average growth in the first half of 2018 was therefore the strongest since 2010. Tensions between Rome and Brussels could lead to significant market volatility before an agreement is found. 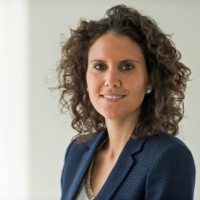 September will be a key month for gauging the Italian government’s budgetary plans for 2019. The government has communicated neither a precise timeline for implementing the measures announced in its ‘contract for government’ nor a precise cost analysis for these measures. The cut to our growth forecast reflects slippage in euro area data.According to Eurostat’s preliminary flash estimate, euro area real GDP expanded by 0.3% q-o-q in Q2 2018, below consensus expectations. This was the weakest growth in two years and is down slightly from GDP growth of 0.4% q-o-q in Q1.Following today’s GDP growth data and recent economic indicators, we have revised down our GDP growth forecast for 2018. A number of one-off factors hurt growth dynamics, but there are many reasons to think that expansion will pick up in the rest of this year. France is the first country in the euro area to publish Q2 GDP figures. The economy expanded by 0.2% q-o-q in Q2, the same pace as the previous quarter and below consensus expectations of 0.3%. The two sides have agreed to discuss lowering barriers to transatlantic trade, helping to de-escalate tensions. While positive, the US’s dispute with China still needs watching.US President Trump and EU Commission President Juncker this week struck an unexpected deal to de-escalate the trade dispute between the EU and the US. Today’s Governing Council meeting did little to break the seasonal torpor. We continue to expect its first rate hike to come in September 2019. There was no change in interest rates or forward guidance at today’s ECB Governing Council meeting. The ECB’s M3 and credit report for June just published confirms that lending dynamics continue to be in a good shape in the euro area, boding well for private investment. Bank credit flows to non-financial corporations (adjusted for seasonal effects and securitisations) amounted to €10bn in June, down from €25bn in May. Markit’s euro area flash PMI surveys for July came in on the soft side. The composite PMI for the euro area fell to 54.3 in July from 54.9 in June, below consensus expectations. At the sector level, the manufacturing PMI index rose marginally, putting a halt to six consecutive months of decline. Short-term rebound in the UK, driven by services.The Office for National Statistics (ONS) published this week a new rolling monthly estimate of UK GDP. The release pointed to a rebound of growth in Q2 (quarterly data will be published on August 8). According to the ONS, the rolling three-month growth to end-May was 0.2%, compared to 0% in the three months to end-April (see chart below).Looking at the details, the services sector (79% of the economy) grew by 0.3% in the three months to end-May and was the only positive contributor to GDP growth. The final reading for the euro area composite Purchasing Managers’ Index (PMI) rose from 54.1 in May to 54.9 in June, slightly higher than the initial estimate of 54.8. However, the manufacturing PMI fell further, to an 18-month low of 54.9, due to weakness in France and Germany. At its quarterly monetary policy assessment last week, the Swiss National Bank (SNB) kept unchanged the target range for the three-month Libor at between -1.25% and -0.25% and the interest rate on sight deposits at a record low of -0.75%. 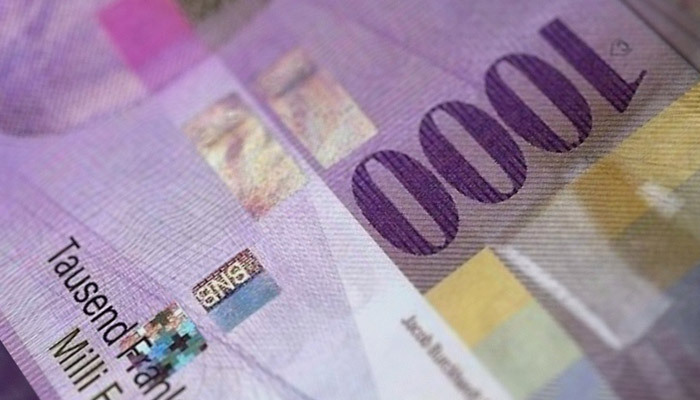 The SNB reiterated its willingness to intervene in the foreign exchange market if needed. Falling momentum in new car sales, together with the threat of US tariffs is adding to the uncertainty facing the European car industry.Last weekend’s G7 summit in Canada ended badly, with President Trump withdrawing his support for the summit’s final statement. Heightening tensions between Europe and the US are Trump’s hints that the White House is considering import tariffs on cars and car parts. This week saw the final release of Spanish GDP growth for Q1. The economy again managed to post robust growth, the highest among the four largest euro area economies (+0.7% q-o-q versus 0.4% q-o-q for the euro area). The breakdown of figures showed that domestic demand was once again the main growth driver. Political instability in Spain has added to turmoil in other peripheral countries. The situation is not comparable with the one that Italy is experiencing at the moment, but since it comes at the same time it is increasing market volatility. Last Friday, Spain’s main oppositionparty, the Socialist party (PSOE) filed a no confidence vote against Prime Minister Mariano Rajoy. The debate will start on May 31 with a vote probably on June 1. Fragmented politics and the risk of a financial crisis continue to hang over the country.This weekend, the Five Star Movement and the League decided to pull the plug on their attempt to form a coalition government after the President of the Republic Sergio Mattarella vetoed the appointment of anti-euro professor Paolo Savona as minister of finance. Mattarella has granted ex-International Monetary Fund official, Carlo Cottarelli, a mandate to form a caretaker government. Before the financial crisis, the real estate bubble and the parallel growth in borrowing meant that the indebtedness of Spanish households spiralled ever higher, reaching a peak of 84.7% of GDP in Q2 2010. Since then, Spanish’s households have tightened their belt, with indebtedness falling to 61.3% of GDP in Q4 2017. The ‘Sovereign money’ initiative, to be voted on in June, aims at a fundamental reform of the Swiss monetary system. In a nutshell, the initiative asks that the creation of money and the granting of loans be separated by barring commercial banks from creating deposits through lending. 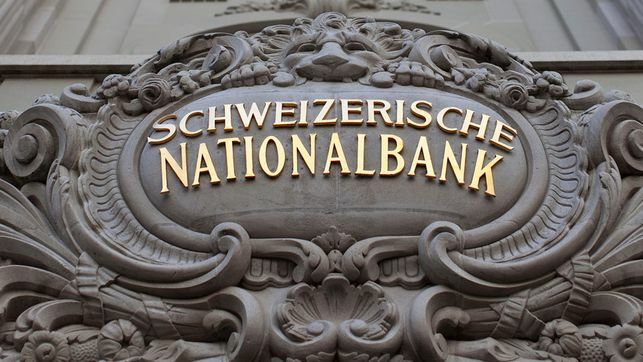 According to the initiative’s promoters the “Swiss National Bank (SNB) should be the sole organisation authorised to create money – not only cash and coins, but also the electronic money in our bank accounts”. According to Eurostat’s preliminary flash estimate, euro area real GDP expanded by 0.4% q-o-q in Q1 2018 (1.7% q-o-q annualised, 2.5% y-o-y), in line with consensus expectations (0.4%) and down from an upwardly revised figure of 0.7% q-o-q for Q4 2017. The implications of the growth slowdown on ECB staff projections should remain limited, in our view. The U.S. Department of Treasury has just published its semi-annual report on International Economic and Exchange Rate Policies. It comes at a time when the US Administration remains deeply concerned by the significant trade imbalances in the global economy. The report only focuses on the US’s 12 largest trading partners, which collectively account for more than 70% of the US’s trade in goods. Signs of a certain loss of momentum may well fuel additional ECB dovishness in the near term, but is unlikely to compromise upcoming policy normalisation.Euro area industrial production (excluding construction) was weak in February (-0.8% m-o-m) and follows the recent release of other disappointing pieces of hard data such as retail sales, German factory orders and trade. Based on available ‘hard’ data, real GDP growth rate in the euro area is projected to be 0.1-0.2% q-o-q in Q1 2018, a sharp slowdown from 0.6% q-o-q in Q4 2017. Any estimate of the economic costs of protectionist measures, let alone trade wars, is subject to uncertainty given the complexity of global supply chains. A common assumption is that new tariffs on exports will produce small direct effects on GDP growth but more significant indirect effects in the event of escalating trade conflicts, including on domestic investment. Euro area employment grew for the 18th consecutive quarter in Q4 2017 (+0.3% q-o-q), and is now 1.5% above its pre-crisis (2008) level. By contrast, hours worked per person employed decreased during the same period, remaining 4% below their pre-crisis level. The two data series have followed divergent trends since the start of the economic recovery. Between Q1 2008 and Q2 2013, the total amount of labour input used by firms decreased massively. The Swiss National Bank (SNB) published its 2017 annual result today. The SNB confirmed a profit of CHF54.4bn in 2017. This was more than double the 2016 figure (CHF24.5bn) and its biggest profit ever. Earnings from the SNB’s foreign currency positions amounted to CHF49.7bn, its gold holdings increased in value by CHF3.1bn and its Swiss positions by CHF2bn (see Chart below). Who will tackle Italy’s root problems? The Italian general election campaign is in its final stretch before voting on 4 March. The election will take place under the new electoral law (Rosatellum bis), which allocates 37% of parliamentary seats via the principle of “first-past-the-post” and 61% via proportional representation, with the remaining 2% reserved for overseas constituencies (see our previous Flash Note for further details). There was a broad-based setback in euro area business surveys in February, whether in terms of country or of sector. The Flash composite PMI slipped to 57.5 in February from 58.8 in January. The month-to-month dip was the biggest since 2014. National business surveys painted a similar picture. The IHS Markit flash composite purchasing managers’ index (PMI) for the euro area eased to 57.5 in February from 58.8 in January, below consensus expectations (58.4). The index marked its the largest monthly decrease since August 2014. Activity in both services PMI (-1.3 points to 56.7) and manufacturing (-1.1 points to 58.5) cooled in February. But while the breakdown by sub-indices showed that the pace of growth in new orders and output slowed (see Table), it remains close to record highs, and consistent with solid growth. With less than 30 days to go, the Italian general election remains highly unpredictable. The new electoral system and the fact that 37% of seats are to be allocated on a ‘first-past-the-post’ system make projecting seats from voting intentions particularly hard. Importantly, Italy is going into this election with an economy that is performing relatively strongly relative to recent history. However, cyclical strength is masking structural weaknesses. 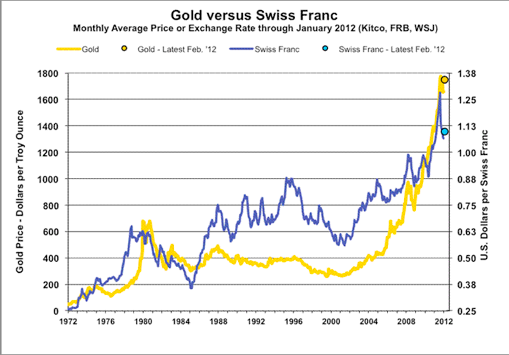 When will the SNB start the process of policy normalisation? 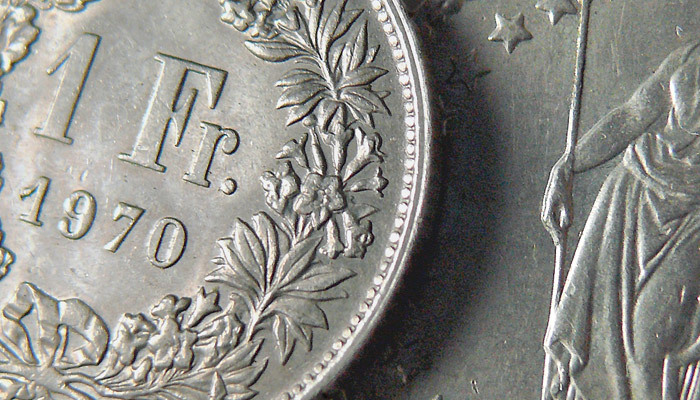 When the Swiss National Bank (SNB) scrapped its currency floor three years ago, its monetary policy strategy was clear: to fight Swiss franc appreciation. 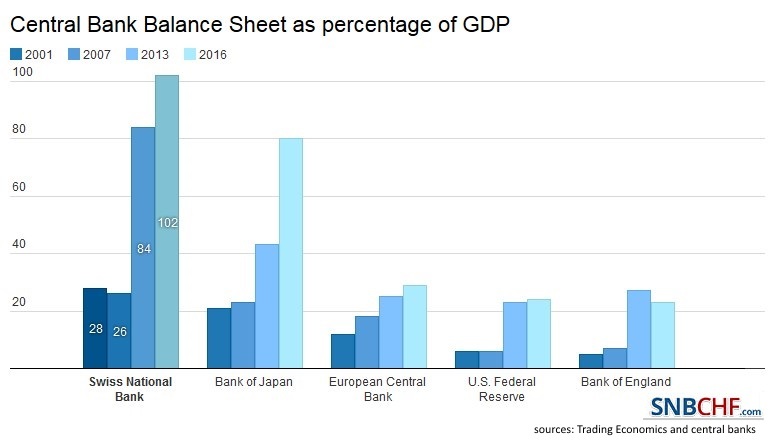 It did so verbally, by calling the currency “significantly overvalued”, and physically, by implementing a negative interest rate and intervening in the foreign exchange market as necessary. Three years on, the interest rate on sight deposits at the SNB remains unchanged at a record low of – 0.75%. The flash composite Purchasing Managers’ index for the euro area increased to 58.6 in January from 58.1 in December, above consensus expectations (57.9). The services sector index rose, offsetting the decline in the manufacturing index . Companies also expressed growing optimism about this year’s outlook, with business expectations up to an eight-month high. According to the Swiss Federal Statistical Office (FSO), consumer prices in Switzerland remained broadly stable at 0.8% y-o-y in December, in line with consensus expectations, meaning that Swiss inflation stayed at its highest rate in almost seven years at the end of 2017. The most important driver of the Swiss watch industry’s recovery has been the revival of the mainland China market. After years of impressive growth, the Swiss watch industry faced difficult conditions in 2015 and 2016, when exports declined by 3.2% and 9.9% respectively in value terms. At its December meeting, the Swiss National Bank (SNB) left its accommodative monetary policy unchanged. More specifically, the SNB maintained the target range for the three-month Libor at between – 1.25% and-0.25% and the interest rate on sight deposits at a record low of – 0.75%. The SNB also reiterated its commitment to intervene in the foreign exchange market if needed, taking into account the “overall currency situation”. Momentum in the euro area picked up further at the end of the year. The flash composite purchasing managers’ index (PMI) increased to 58.0 in December, from 57.5 in November, above consensus expectations (57.2). The improvement was once again broad-based across sectors. 2017 was the year of the ‘Euroboom’ and the removal of political tail risks. Moving into 2018, we mark-to-market strong economic data, including carryover and revisions. We forecast annual GDP growth of 2.3% both in 2017 and 2018. Qualitatively, our forecasts reflect our view that the euro area has reached ‘escape velocity’, with important implications for investors. Swiss real GDP growth data surprised on the upside in Q2, expanding by 0.6% q-o-q (and 2.5% q-o-q annualised). In addition, growth in the three previous quarters was revised significantly higher. As a result, our GDP growth forecast for growth in Switzerland rises mechanically from 0.9% to 1.5% for 2016.